East Texas has beautiful, expansive stretches of land boasting a number of natural features. Which ones do you want on your tract of land? Thinking things through and reaching a decision early in the process can help you narrow down options when buying land in Texas. Trees, Creeks, Knolls, And More! If you enjoy trees, you’ll be happy to know that you can buy land in East Texas that comes densely wooded. Pine trees are prominent in the region, as are hardwood varieties. If you’re looking for sparsely wooded properties, these are available, too. Dense woods can give you a high degree of privacy along with the perfect setting for hiking and relaxing. Alternatively, land with a wooded mixture of trees interspersed with large, open areas of grass can be ideal for growing your own vegetables or raising animals, such as cows, sheep, or goats; they’ll have plenty of land to graze on plus a number of shade trees for shelter and protection against sun, rain, wind, and other elements of nature. Is there anything more serene than watching water flowing down a creek, or gazing at sunlight dance on a sparkling blue lake? Since our area receives an abundance of rain, water features such as lakes, ponds, creeks, brooks, and streams are sometimes available in East Texas. In addition to creating a tranquil setting to enjoy, these features can serve as sources of water for livestock or for irrigating your small farm. Looking for land that will offer interesting changes in elevation and possibly some nice views of the surrounding areas? East Texas offers this, too! 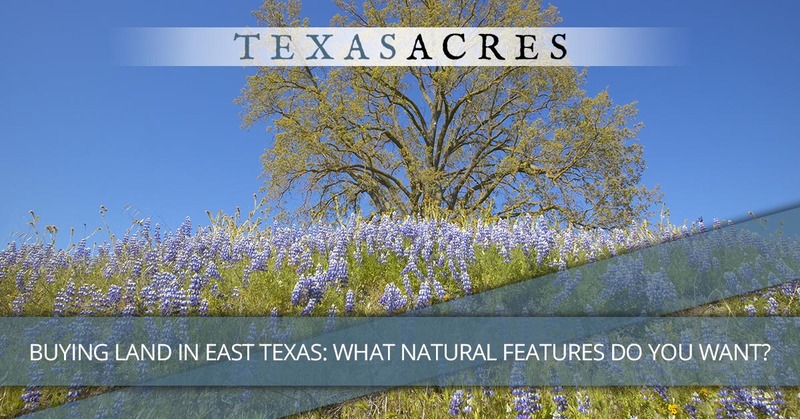 From gentle knolls to distinct hills, as well as gullies and ravines, land for sale in East Texas can come with a variety of physical features that add interest and possibilities. If you’re looking for land that works well for hikes and recreation, having hills and gullies makes for a much more interesting trek. Texas Acres sells land throughout East Texas, including in Crockett, Dime Box, Lockhart, Lovelady, Proctor, Montalba, Spurger, and Terrell. Each area is different, and we hope you’ll enjoy seeing how varied East Texas land can be by viewing our available properties. Our owner-financed option makes buying land through us especially attractive. 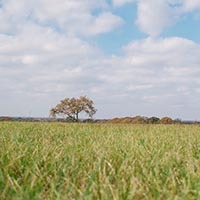 We invite you to contact us and learn about how you can benefit from buying land in East Texas.